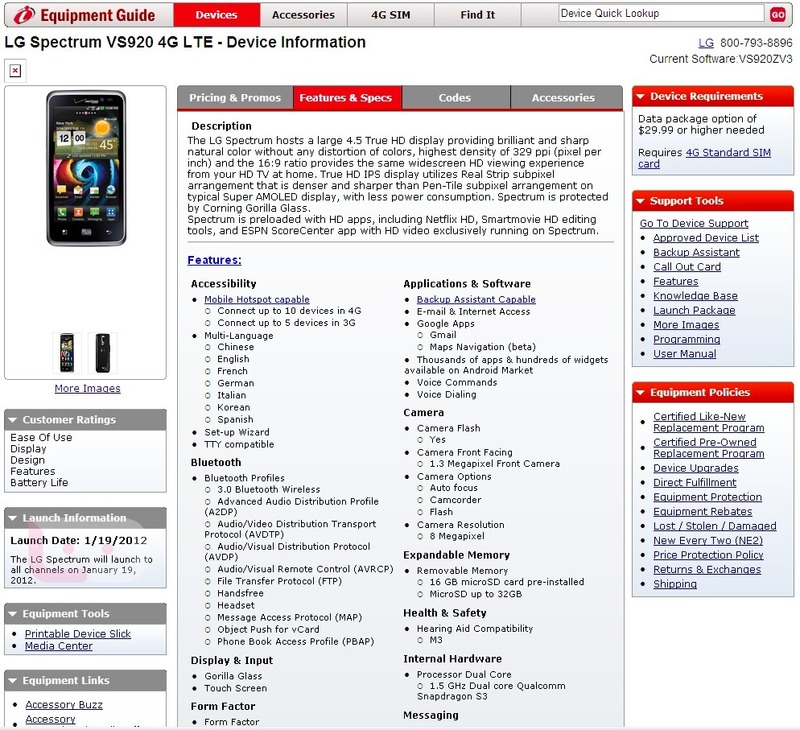 On the heels of our report that the LG Spectrum is currently scheduled to launch January 19 on Verizon, the company’s “Equipment Guide” has been loaded with matching information. As you can see in the “Launch Information” box, we have an “all channel” launch of January 19. You will also find some additional specs. Will the Real White Galaxy Nexus Please Stand Up?